If you're honest with yourself, what would you say would be a good target for this season? I guess at least 75% of you would plump for mid table mediocrity, i know I'd be over the moon with that. Just consolidate our position back in the second tier, let this squad get used to their surroundings and build on what we have for a promotion push in the next couple of seasons. Let's face it, there are enough Norwich's and Southampton's in this world. It's not cast in stone that you have to have back to back promotions. Birmingham City however would consider anything less than promotion an under achievement. Last year after a strong campaign only losing the once at home in the league, they self destructed in the play off semi finals against Blackpool. Chris Hughton's efforts were worthy of a call back to the top flight to replace Paul Lambert at Norwich so a familiar Charlton adversary from Huddersfield, Lee Clark, has taken over the reigns at the blues. As i picked my three to go straight up for the CAFC picks website, i confess Birmingham City were amongst them. I really expected Charlton to get a big taster of what life will be like back in the Championship. I was asked recently to describe in three words or less last season's overview and preview this one's expectations. You can see all 92 clubs verdicts here, but i put 'educational' down for this season. I thought we'd be taught a lesson at St Andrews. We were, it just wasn't from the text book i was expecting. Making do with a radio commentary on a stifling hot day at work whilst melting in my overalls and hob nail boots, i realised i really hadn't forgotten at all how nervy and at times quite uncomfortable listening to the football can be. Charlton seemed to miss chance after chance, yet from all accounts stroked the ball around like the team giving the masterclass. Borrowed from Barnsley, "it's just like watching Brazil" could be heard from the sixteen hundred travelling addicks. At times i think just sixteen could have been heard as the notorious Birmingham fans failed miserably in creating any kind of atmosphere. From seeing the amount of empty seats on the television, almost 12,000 of them, i was surprised to discover a club of this size only averaged a thousand more per game last season than were in attendance yesterday. Leon Cort's first goal for the club at the far post, after a little headed combination from a corner, was only what the visitors deserved with seven minutes of the ninety remaining. I threw my spanner so far in the air it almost came back down on the bike i was working on, I'd have gone crazy for an opening day point. Three? Well that's just dreamland. It's almost like last season was just continuing rather than Chris Powell's team starting afresh. Other than Jordan Cook coming on for Wright-Phillips, we even had the same players on the pitch. Wilson and Kerkar were also on the bench but there was no place for our fourth new signing of the season, Dorian Dervite-Vaussoue. 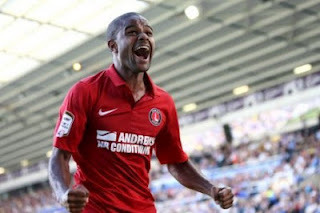 The Frenchman will provide great cover at the back if his performance at Crawley is anything to go by. Birmingham, deep in stoppage time, played a long ball out of defence. Their midfield won it and played it straight through ours for substitute Nicola Zigic to strike the ball home with the visiting back four practically looking on as spectators. Last season we could afford the odd lapse of concentration, often without getting punished. This term moments like that can and will cost us dearly. Hopefully a lesson learnt, every minute of every match needs one hundred percent focus, not just ninety but ninety three, four and five as well. A point away from home is still a good return, and we entertain Leicester and Hull over the next few days. After these the table will start to take a little shape. It'll be nice to still be above Palace and Millwall then.